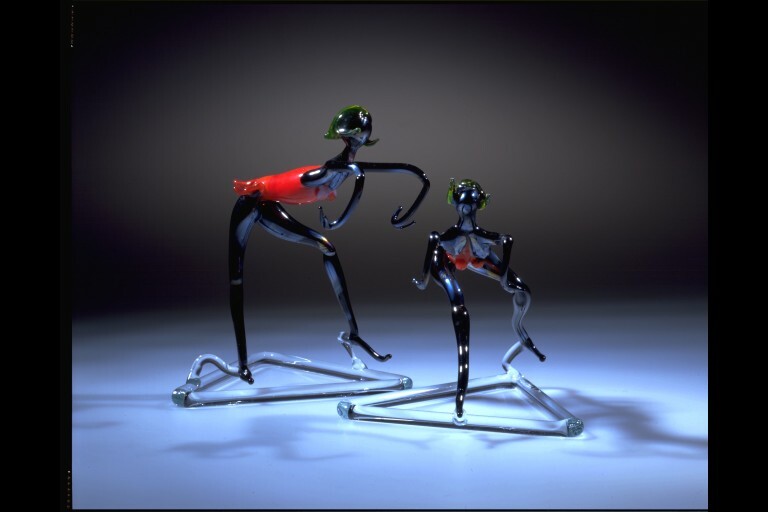 Lampworked dancing figure with a clear base, black figure with green hair and red clothing all in glass. Bimini / Orplid scrapbook in Ceramics dept library. Waltraud Neuwirth, Bimini, Vienna, 1992. 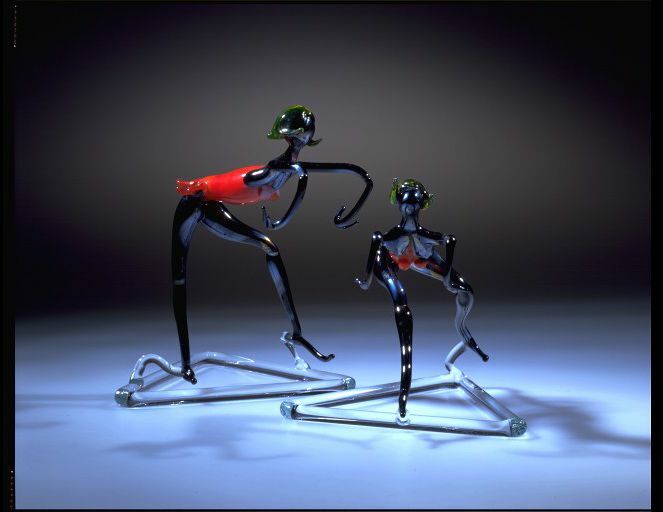 Lampworked figure of a dancer, designed by Fritz Lampl, Bimini Workshops / Orplid Glassworks, Austria / England, designed about 1925, possibly made 1940's.